How to Take Honey for Allergies? There are allergies of various types and mainly caused by bacteria, virus or any foreign invader to the body. The symptoms of allergies include sneezing, watery and itchy eyes, runny nose, sore throat, coughing, headaches, trouble breathing. Here are some effective ways to use honey for allergies. Honey is reported to lessen the symptoms in seasonal allergies. Its action as cough suppressant and anti-inflammatory effects are used in the treatment for allergies. It contains various nutrients namely amino acids, Vitamin C, Riboflavin, Niacin, Vitamin B6, Folate, Calcium, Iron, Magnesium, Phosphorus, Potassium and Zinc. It is raw and still contains all the living enzymes needed to protect body. Consume one teaspoon of honey. How it works: It is a great antioxidant, antibacterial, antifungal and anti-allergenic. Best time to apply: Anytime of the day. Tips: Do not use your daily dose to cook or bake, as heat may destroy the pollen in the honey making it ineffective. Bee pollen is a super food and considered as energy and nutritive tonic. Increase bee pollen gradually from ½ teaspoon to 1-3 teaspoons. How it works: Bee pollen is high in protein as well as an antioxidant. Best time to apply: Any time of the day. Tips: Please do not consume bee pollen if any sensitivity present. Cinnamon blends well with honey and used in the treatment of allergies. How it works: It is anti-inflammatory and combat allergies and boosts immunity. Coconut oil is rich in saturated fat and has immunomodulation effect. Add coconut oil and honey into a blender. Spots of honey are found, but that is fine. Pour into a glass jar and refrigerate it. Apply on the allergic area. How it works: Coconut oil is richest source of lauric acid, with immunity building properties. Turmeric roots are used along with honey for allergies. Banana can also be added for taste. How it works: Turmeric has anti-inflammatory properties, lemon juice contains vitamin C, cayenne pepper reduces nasal congestion and stuffiness, raw honey boosts immune system. Garlic cloves are best anti-inflammatory products and provide great relief in allergies. Peel and chop 3-4 garlic cloves. Mix them with 1-2 tablespoons of honey until the syrup is thick with small chunks. Scoop the garlic honey syrup into the mouth and swallow it down. How it works: Garlic has anti histamine properties and has the ability to treat allergy symptoms. Repetitions: 3-4 times a day. Tips: If you are allergic to garlic, try other alternatives! Apple cider vinegar is mostly apple juice, but adding yeast turns the fruit sugar into alcohol, bacteria turns alcohol into acetic acid, which gives sour taste and strong smell. How it works: It has the ability to reduce the mucous production and reduce allergy. Lemon juice is used along with honey as a treatment for allergy. Squeeze the juice of lemon and oranges. 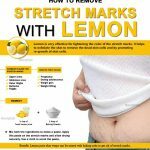 How it works: Lemon has vitamin C and is potential anti inflammatory ingredient. Ginger plays a pivotal role in dominating platelet-activating factor. How it works: Ginger is potential anti-inflammatory, helps in breaking down of toxins and lowers the risk of infections. Green tea contains methylated epigallocatechin Gallate which inhibits cell receptors included in activating allergic responses. Drink this tea sip by sip. How it works: Green tea has antioxidant property reduces histamine reactions in the body. Honey has various uses and its combination with various ingredients for treatment of allergies makes it versatile to use. Honey helps in relieving symptoms of allergic rhino-conjunctivitis and associated atopic (allergic) conditions including asthma. Care should be taken while using bee pollen as an ingredient for consumption. 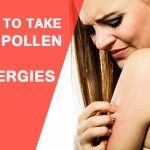 How to Take Bee Pollen for Allergies? 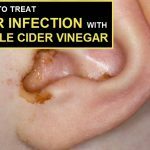 Apple Cider Vinegar for Ear Infection: How to Use? 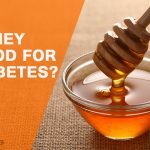 Is Honey Good for Diabetics Patient? 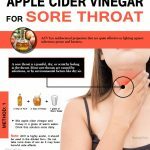 How To Get Rid Of Bad Breath With Apple Cider Vinegar? Allergies are various types and mainly caused by bacteria, virus or any foreign invader to the body. Read to know how effective is honey for allergies.